NEW YORK – What began as a laugher, turned into a squeaker. And then it became a nightmare. And when it was over, when Indiana’s players and coaches wandered off the court for maybe the last time this season, it wasn’t clear who was more stunned: the Hoosiers players or their fans. 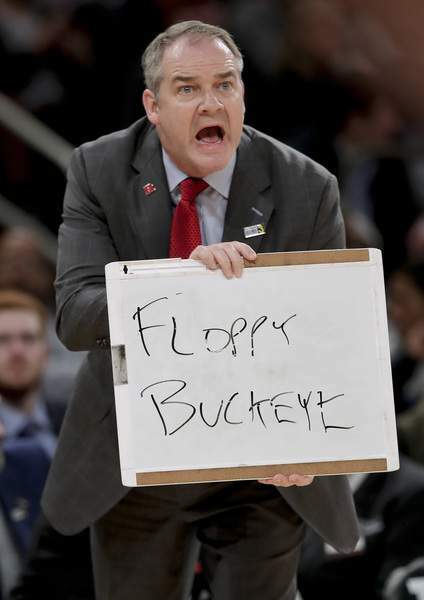 In as inexplicable a performance as it’s had in months, against an opponent it crushed less than a month ago, sixth-seeded Indiana built an early 16-point lead then frittered it away behind turnovers, non-existent defense and poor shooting Thursday in a stunning 76-69 loss to No. 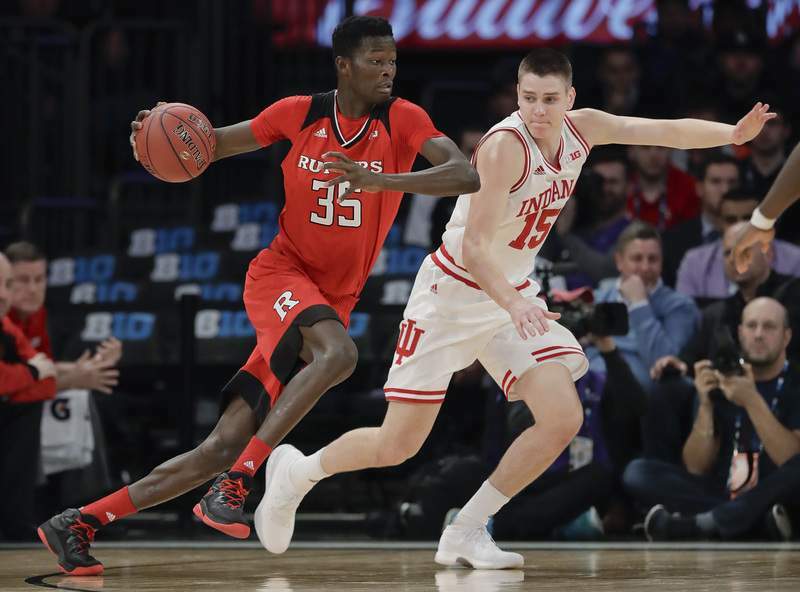 14 seed Rutgers in the second round of the Big Ten Tournament at Madison Square Garden. 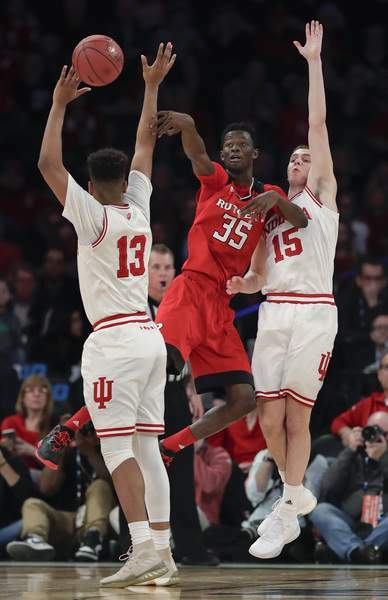 A poor offensive night from senior Robert Johnson (12 points on 4-of-16 shooting) and, well, everybody else resulted in the Hoosiers’ shocking exit from the Big Ten Tournament. The Hoosiers (16-15) made only 36 percent of their field goals and 26 percent of their 3-point attempts, and never had a lead in the second half despite dominating the first 10 minutes of the game. 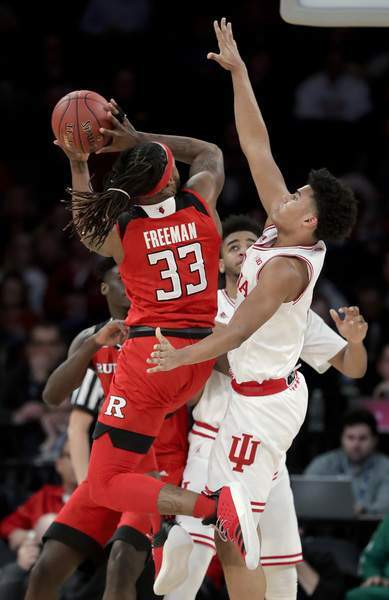 Meanwhile Rutgers (15-18), which won only three league games all year, scored its second straight upset here thanks to hot shooting (68 percent in the second half, 58 percent for the game) and the leadership of Corey Sanders. Strong on either hand and handling whichever defenders Indiana threw its way, the junior guard came up with a basket whenever his team needed it, finishing with a game-high 28 points. 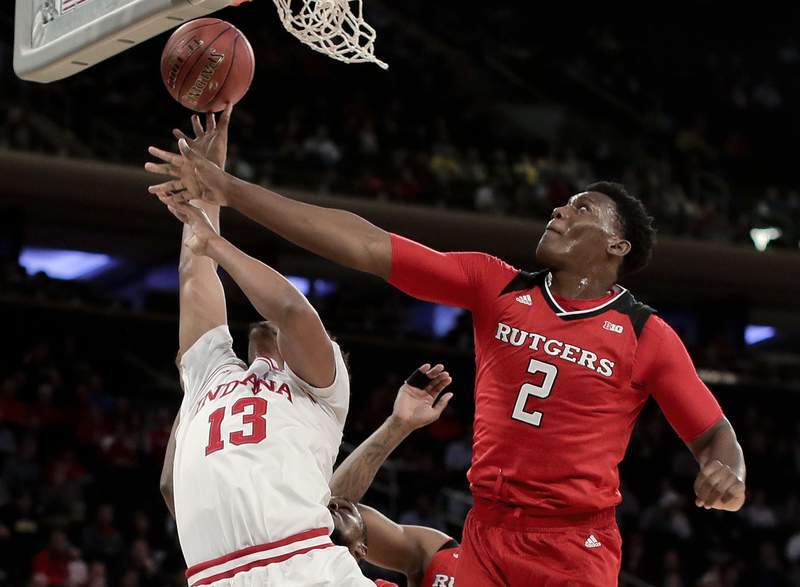 Now, Indiana must wait and hope for an invitation from the NIT, while Rutgers faces Purdue at 9 p.m. today in the quarterfinals. Miller sounded less than optimistic about the Hoosiers’ postseason chances. “I would be surprised if that was on the horizon for us,” he said. “I would be surprised.” He added Indiana wouldn’t accept an invite from a lower tournament below the NIT. 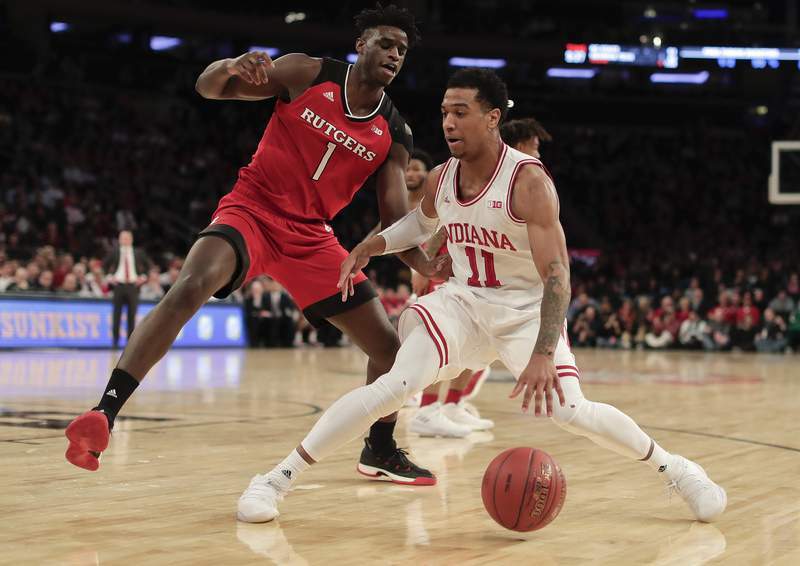 It was a stunning collapse by Indiana considering they smacked Rutgers by 22 on Feb. 5, and how the game started Thursday. After 10 minutes it looked like it would be a Hoosiers rout, as they built a 24-8 lead and the thousands of Indiana backers out-shouted the Rutgers fans. But then the shots stopped falling, the defense couldn’t stop Sanders, and the turnovers (11 total) piled up. Even after letting the first-half lead fritter away, Indiana stayed in the game thanks to shockingly good foul shooting. The Hoosiers only made 63 percent this season, but hit 25 of 29 on Thursday. But offensively Indiana never could push ahead of Rutgers, and Miller credited Rutgers and blamed himself a bit for that. “They did a great job establishing they wouldn’t let Juwan (Morgan) catch the ball,” Miller said. “This team relies on being able to play through him, and it became that much harder for our team when we didn’t do that. For his part, Morgan, who finished with a team-high 15 points, said he thought the game was lost on the defensive end. Still, thanks to their foul shooting, the Hoosiers stayed close. A Collin Hartman rebound and putback tied the game at 46 with 8:25 left, and in the final minutes Indiana was finally able to make a few 3-pointers, as Johnson’s jumper brought Indiana within 63-59 with 1:52 left. But Indiana could get no closer; two straight buckets by Sanders ballooned the Scarlet Knights’ lead back to eight, and that was the ballgame. Aljami Durham scored 10 points for Indiana, all from the foul line.